Welcome to NAKAGAWA E.S.A. 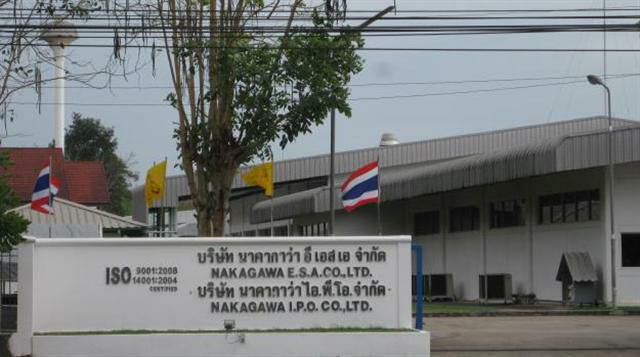 Co., Ltd. and NAKAGAWA I.P.O. Co., Ltd.
Fortune & Star Logistic Co., Ltd.
LG. Electronics (Thailand) Co., Ltd.
Panasonic Home Appliance (Thailand) Co., Ltd.
Sharp Appliance (Thailand) Co., Ltd.
Shinsung Delta Tech (Thailand) Co., Ltd.
Thai Automotive & Appliance Ltd.
Tri Intertrade Group Co., Ltd.
United Technology Development Co., Ltd. Copyright © 2010 NAKAGAWA E.S.A. Co., Ltd.